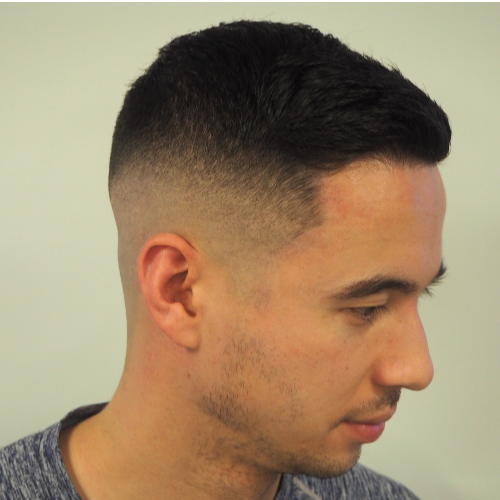 A men's or boys standard haircut. 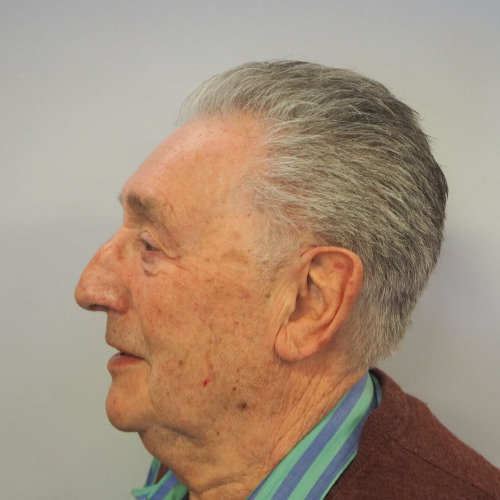 Either shaved on the sides and cut with scissors on top or entirely cut with scissors. May include a shaved parting or a natural parting. 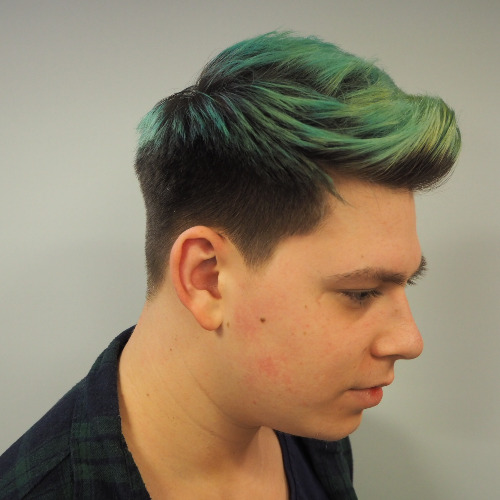 A men's or boys standard haircut by Max. 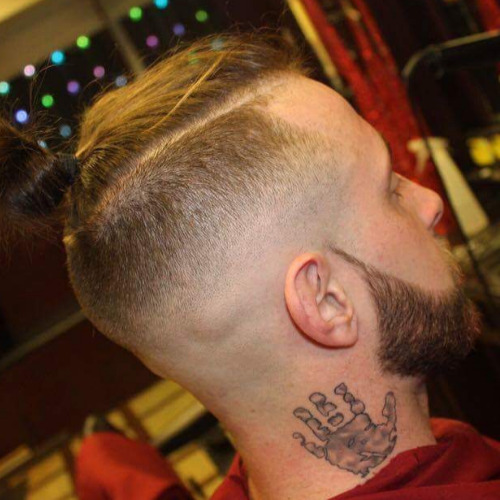 Either shaved on the sides and cut with scissors on top or entirely cut with scissors. 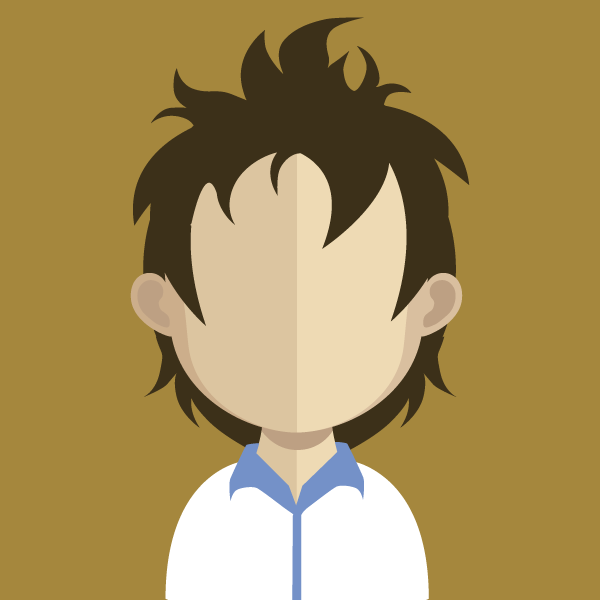 May include a shaved parting or a natural parting. 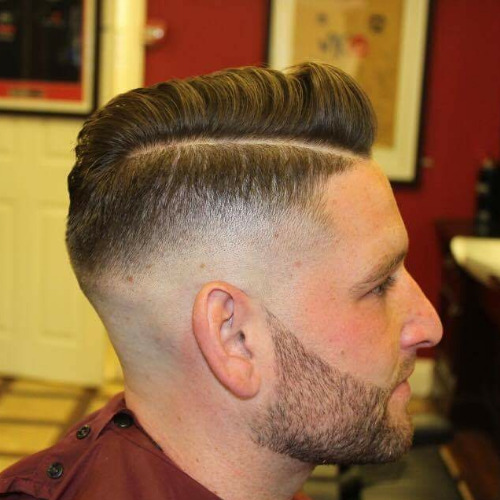 No.1 Barbers quality haircut as described above, combined with our full beard trim & shape service. 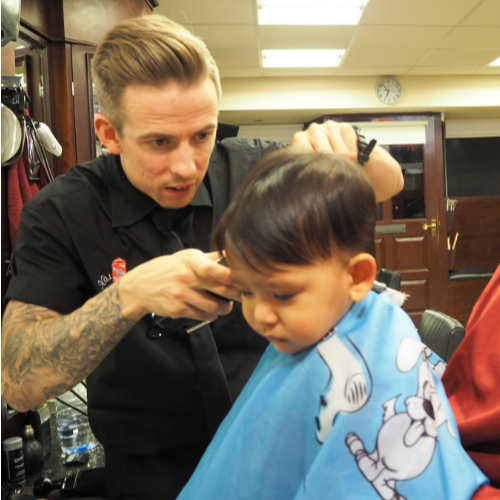 All of our staff are experienced at cutting young children’s hair. 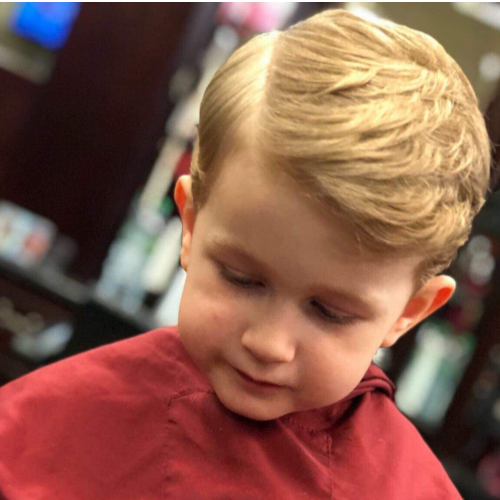 We pride ourselves in being able to create a good quality haircut even for the most challenging of children. Max is extremely experienced at cutting young children’s hair. Priding himself in being able to create a good quality haircut; even for the most challenging of children. Max also has wide experienced with children on the autistic spectrum. 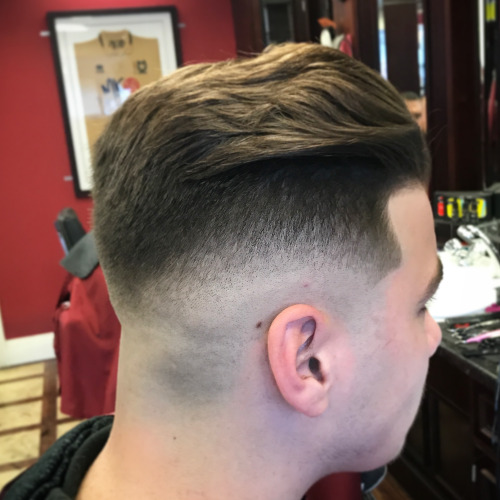 A traditional haircut for the most valued members of our community; using either clippers, scissors or a combination of both. Shaved down to the skin on the back and sides using the mini clippers. Faded into the top; cut to a length & style of your choice. Shaved right down to the skin on the back and sides using the foil shavers. 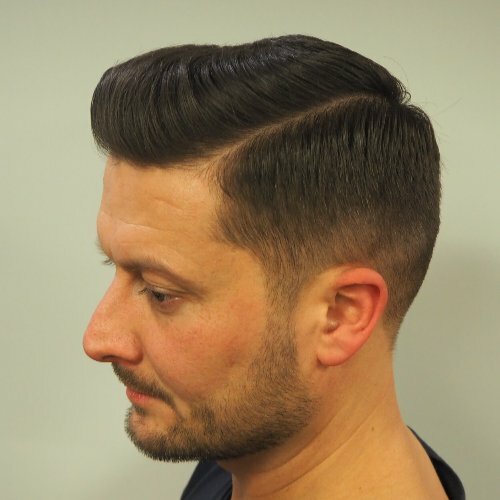 Faded into the top; cut to a length & style of your choice. 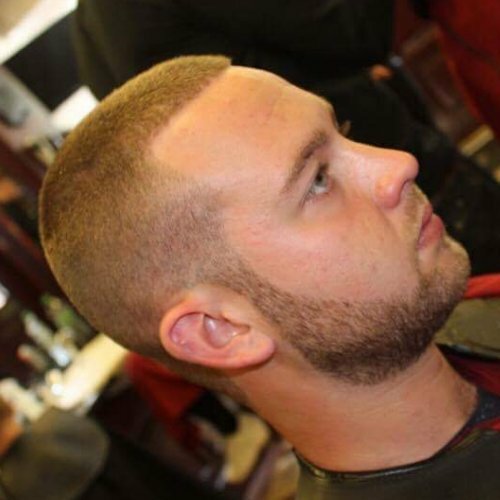 No.1 Barbers precision skin fade as described above, combined with our full beard trim & shape service. Skin fade back & sides achieved using either clippers or a razor. 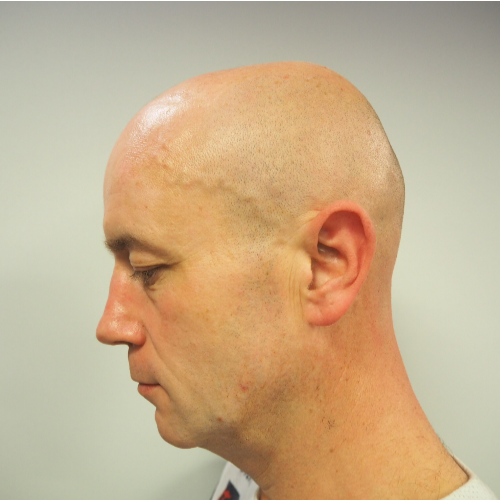 Leaving the top untouched; ideal for customers growing the top of their hair. 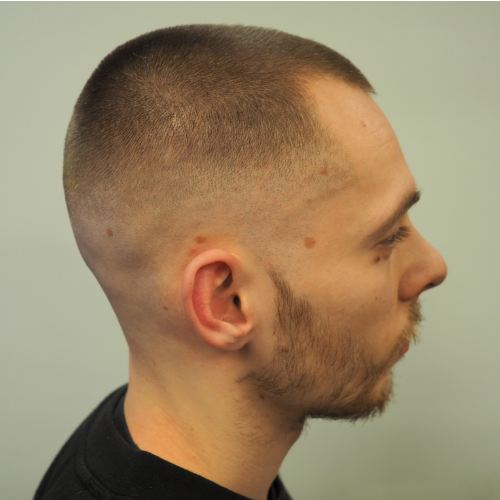 A shaved head with your choice of numbered clipper guard from 0 to 1.5 shaved all over the head; with the edges shaped and the neck shaved. A short crew cut either using one number guard all over from numbers 2 - 8 or; a combination of the two numbered guards. 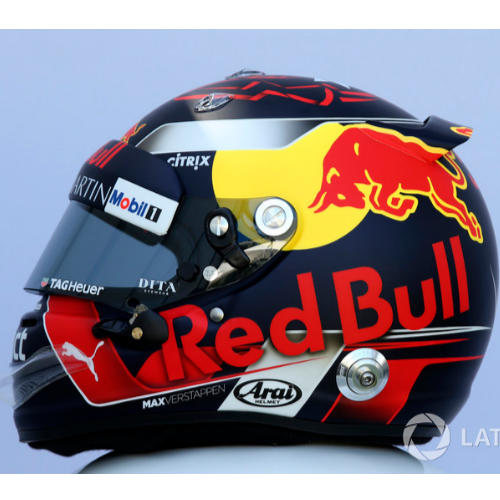 For example Number 4 on the top and Number 2 on the sides. An extremely short crew cut using one number guard all over the top; from numbers 0 – 8. Shaved right down to the skin on the back and sides using the foil shavers, then faded into the top. 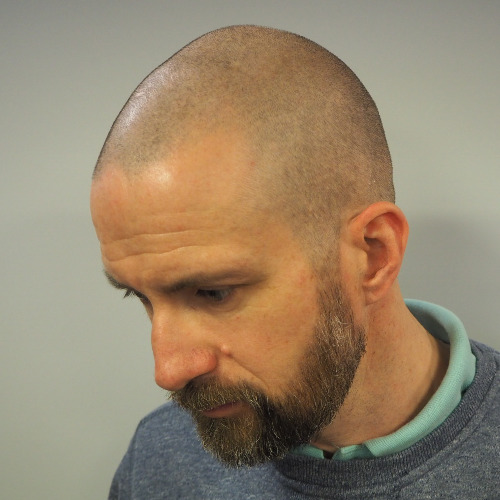 Buzz cut (Numbers 0 - 1.5 only), combined with our beard trim & shape. Full service for your beard. Cut down to a length of your choice and shaped up around the edges. Includes application of your preferred No.1 Barbers Beard Oil. 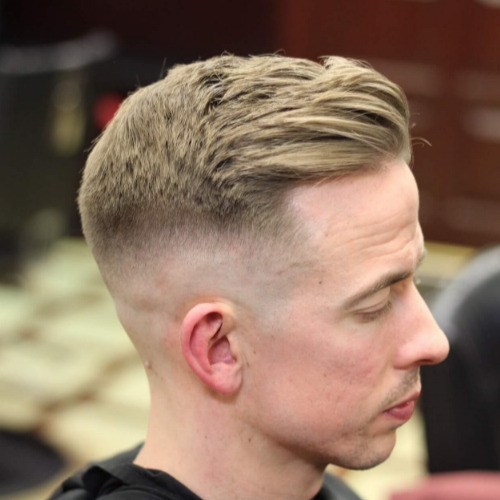 The back & sides shaved to a clipper guard number of your choice from 0 - 8. Leaving the top untouched; ideal for customers growing the top of their hair. 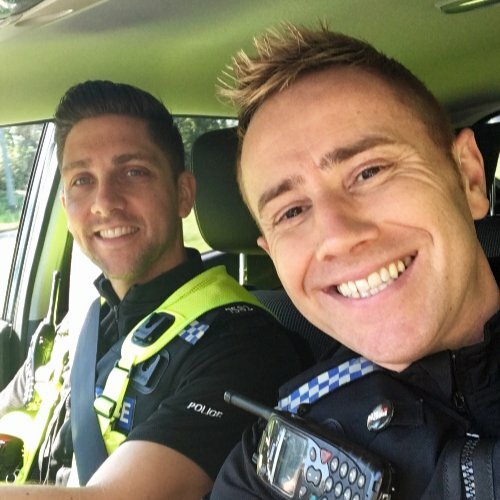 No.1 Barbers offers discount to all members of our emergency services - Police, Firemen, Paramedics/Medical professionals. 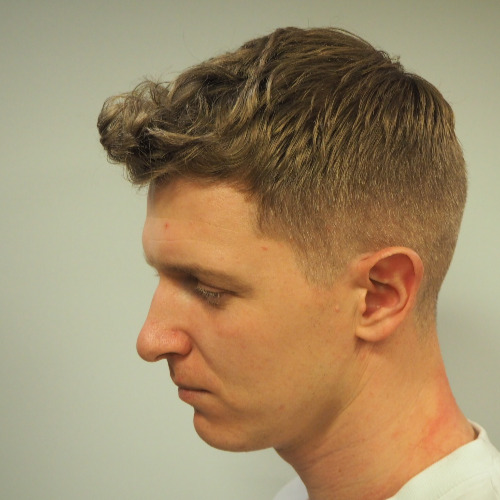 Simply book in Monday - Thursday, 9am - 12noon and receive a high quality men's haircut for only £10! No.1 Barbers offers discount to all members of our emergency services - Police, Firemen, Paramedics/Medical professionals. 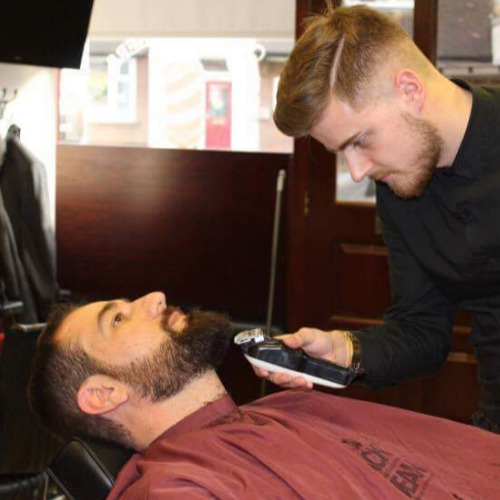 Simply book in Monday - Thursday, 9am - 12noon and receive a high quality skin fade haircut created using either mini clippers or foil shavers; for only £13.00! 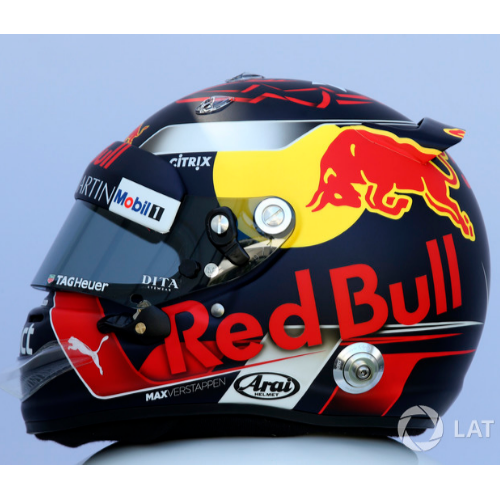 No.1 Barbers offers discount to all employees of the Red Bull Racing team. 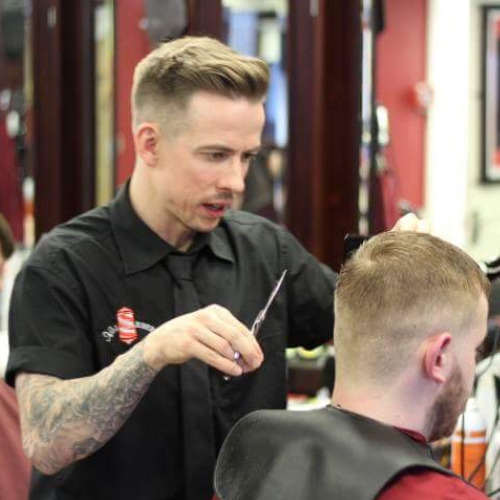 Simply book in Monday - Thursday, 9am - 4pm and receive a high quality men's haircut for only £10! 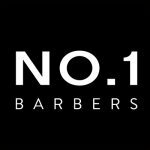 No.1 Barbers offers discount to all employees of the Red Bull Racing team. 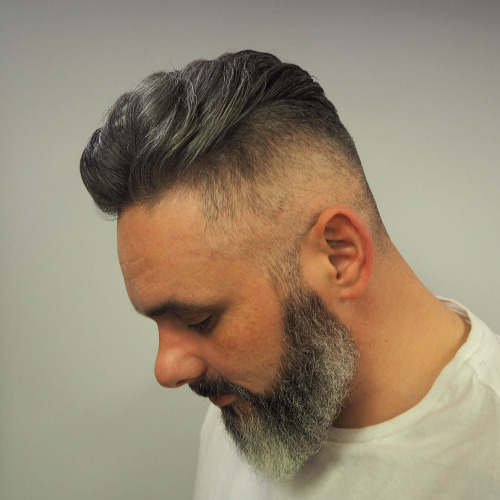 Simply book in Monday - Thursday, 9am - 4pm and receive a high quality men's skin fade created using either the mini clippers or foil shavers for only £13!